Disability Equipment Hygiene is an important consideration for prevention of viral cross contamination with disability equipment and mobility aids at home and within health care facilities. 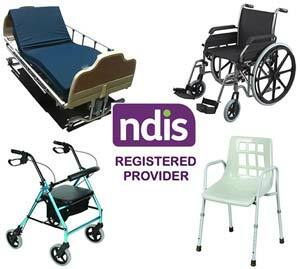 In a previous role with a large national healthcare equipment supplier – where the majority of clients were aged care service providers and hospitals – I was concerned to witness frequent return of disability equipment sample and loan items directly into stock following use at aged care, nursing homes, and hospital facilities by sales and service personnel. There were no cleaning or decontamination processes in place to mitigate risk of cross infection for staff or the next user of that disability aid. Disability equipment items were often provided as temporary replacements or for pre-sale demonstration purposes. The sales and service personnel could not say for certain whether or not the items had been used on-site or who may have used them. There being no procedure to deal with cleaning or testing of disability equipment I could see no separation at any time where the items were isolated from other disability equipment items in the warehouse. 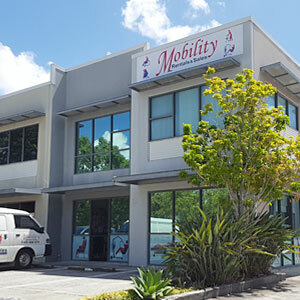 It was accepted procedure the disability equipment items supplied and used in this manner were allowed to be returned to be sold as new or provided to other customers for temporary use. Clearly, this raises a red flag to the obvious potential for cross contamination and spread of viruses from one healthcare provider to another. This is still a common practice with a number of disability equipment suppliers. Many of these service providers have quality systems in place that mostly exist to be eligible for government funding rather than to ensure safety for staff and customers. We often see healthcare facilities locked down due to contamination, endangering the health of “at-risk”residents at aged care facilities and patients in hospital wards. In most cases the origin of the infection cannot be identified, making definitive elimination of this area of risk impossible and posing ongoing risk to residents and patients, which may jeopardise the accreditation process for some healthcare facilities upon audit. The most common types of transmitted viruses are arguably Staph, Influenza and Gastroenteritis. These viruses once established at a healthcare facility can lead to lock down of the site until the infection is evident in decline. Staph, there are a variety of different types of staph infections. Staph infections occurring on the skin can be passed on by air, food, and contact with someone who has a staph infection or by touching a contaminated surface. Staph bacteria may cause an infection if there is an abundance of it on the surface of the skin or if it enters the body through broken skin such as wounds, cuts or grazes. Influenza, which once established spreads rapidly via airborne droplets expelled through coughing and sneezing can also be transmitted through nursing homes and other health care facilities on equipment surfaces contaminated with influenza organisms. Gastroenteritis – Norovirus being the most common type – most often appears in winter and early spring. Norovirus is highly contagious and can be transmitted upon equipment that may have been in use by someone infected with the virus. Gastroenteritis in the very young and the elderly can lead to severe dehydration and in some cases hospitalisation. There are many other viruses that can also be transmitted upon surfaces of disability and care equipment and I have noted links below where you learn more about transmitted viruses. Most people needing to use disability and mobility equipment are more at risk from these types of infections and must wherever possible avoid contracting any viruses which could pose any risk to their health, and if contracted certainly affect recovery from surgical procedures. The risk of the surfaces of disability and mobility equipment transmitting viral infections either from one health care provider to another or one person to another is manageable and can be controlled with effective and consistent risk management protocols. But it must first be recognised that this is an area of significant risk and conceded that if there are little or no procedural controls the potential for risk is always present. Protocols must be established to track the equipment when offsite and control the process for decontamination upon its return before allowing the equipment item to be returned to stock. There must be documented protocols for each step of the decontamination process where each item can be verified as having successfully passed through each step of the cleaning and decontamination process. Cleaning and decontamination protocols must be specific to each equipment item type and include clear instructions for disability equipment dismantling (mostly applicable for bathroom and toileting equipment) cleaning and reassembly. The types of disinfecting agents noted in the cleaning and decontamination protocols should be rated substances that will combat infection and not be harmful to the people using it. Safety clothing and equipment relevant to the person cleaning the equipment as well as the correct measure of use with the cleaning/disinfection agents should also be detailed in the cleaning and decontamination protocols. Both new equipment and rental equipment can be considered at risk. It is generally assumed if an equipment item is unpacked directly from the box it should be fine, however there may be evidence to suggest some offshore manufacturers use labour sourced from poverty struck regions where hygiene issues exist, with some degree of infection risk. It is always best to assume the disability equipment item should be thoroughly cleaned prior to use. Equipment items as noted above may have been used in demonstration and therefore should be thoroughly cleaned and decontaminated prior to purchase. Disability equipment and mobility aids on hire must be cleaned and decontaminated after each use. It is often uneconomical for disability equipment rental providers to rent items for short periods due to the considerable labour cost to effectively clean and decontaminate disability aids & equipment. Cleaning the most simple disability equipment items such as over toilet aids and shower chairs is a very labour intensive task. Whilst often being the most at risk, this type of equipment often requires partial or complete disassembly and reassembly to ensure thorough cleaning and decontamination. Whether you are renting or buying any disability or mobility equipment item, no matter how small, make sure that you ask the disability equipment provider for proof that the equipment item has been thoroughly cleaned and decontaminated before you accept delivery. This is a reasonable request which should be answered in a friendly manner with a clear explanation of the cleaning and decontamination protocols including proof that the equipment item has been through this process. If you are not fully convinced by the answer or feel there is no tangible proof the equipment item has been thoroughly cleaned and decontaminated it is advisable you look to another supplier for disability and mobility equipment. This significant area of risk cannot be satisfied with a casual reply. Documented quality system processes that are traceable and transparent to both supplier and customer should be evident. I hope that you find this brief article about “disability equipment hygiene” informative and relevant. Mobility Rentals & Sales lead the industry in disability equipment hygiene controls with disability hire equipment. We also consult to organisations to audit and write hygiene disability & mobility equipment systems & protocols for healthcare environments. All Mobility Rentals & Sales hire equipment items undergo thorough cleaning, servicing and testing prior to release for hire. 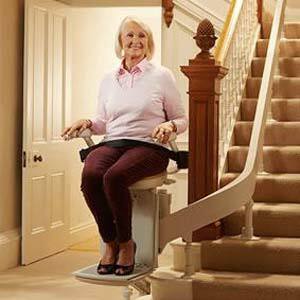 This ensures peace of mind hiring clean and safe disability equipment for family and friends. Links for more information can be found below. Feedback and discussion about this topic is most welcome. We provide consultive support for creation, implementation and management of hygiene systems & protocols within private and public community support and healthcare organisations. Areas for disability equipment hire include: Brisbane, Bayside, Logan, Ipswich, Gold Coast, Gatton & Sunshine Coast. Enter your postcode below to check eligibility.